"If you were hanging the American flag, would you put the stars down? The same holds true of the ring. It should look right side up to him. 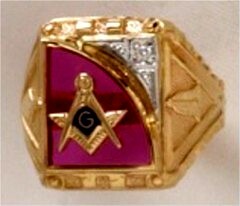 Rings are therefore worn with the points of the compass toward the wearer." 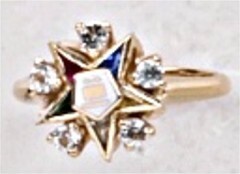 Another opinion is that "When the emblem of the square and compasses is displayed on a building, pennant, button, watch charm etc., universal custom requires the points of the compass point downward. When displayed on the Altar they point away from the Master. As the Master from his station views the compass from the Altar of his lodge, the points are from, not towards him. 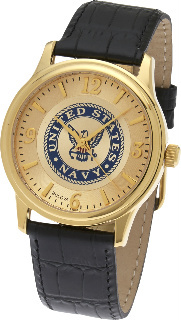 As the wearer of a compass watch charm views it, the points are down and away from his eyes. 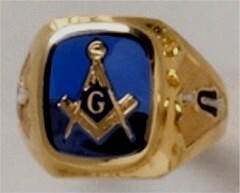 In a similar way as he views the emblem on his ring the points should be down or away from his eyes." The square is the symbol of earthly, the compass of heavenly perfection. As a combined emblem the ends of the square point up as a symbol of man's aspirations toward God; the points of the compass are down to represent heavenly qualities coming down from God to earth. 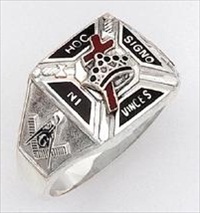 Therefore it would seem that the proper way to wear a ring would be that is which its symbolism is best expressed; namely, that in which, when the hand is held in its usual position the points of the compass are towards the earth and away from the wearer's eyes.